Congress authorized $500 million in spending for smart grid development in 2007, and President Barack Obama made energy one of the planks in his winning campaign strategy. Now that the federal stimulus package has added more than $4 billion in spending for such projects, utilities across the country have begun to explore this technology in earnest. 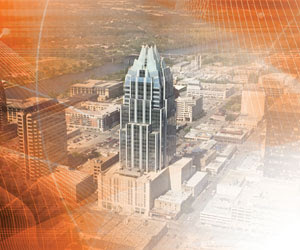 Austin Energy has been traveling the smart grid path for nearly seven years. The project started as a way to streamline the business and find a new operating model for the future, explained Andres Carvallo, CIO. The utility generates, transmits, and distributes energy, as well as selling to wholesale and retail customers. During the initial visioning process, utility executives discussed distributed energy, renewable energy sources, distributed generation such as solar PV and micro wind devices, and energy efficiency as ways to control costs and enhance value to customers. Investment in smart grid technology is a logical extension, allowing customers to monitor and optimize energy use. Austin’s smart grid project will cover 100% of its service territory by August, encompassing 440 square miles, 500,000 devices, 100 terabytes of data, 1 million consumers, and 43,000 businesses. Phase one of the project focuses squarely on the utility side of the grid. It is all about systems integration, communications, safety and reliability of electric operations, better and new services, and improved customer service. It goes from the central power plant through the transmission and distribution systems, all the way to the meter, and back. Smart grid technology might allow the extension of current energy supplies as new nuclear plants come on line and utilities investigate alternative energy sources such as geothermal, solar, wind, biofuels, and others. The North American Electric Reliability Corp, which oversees electrical-grid operators, predicts power outages in the Northeast, West, and in Texas within two years after the economy gets back on track. That dire prediction, coupled with consumer demand for alternative energy sources and the promise of stimulus funds, has spurred renewed interest in upgrading the power grid. “We have a quite good transmission system, designed for a model where electricity is generated locally, with some interchange of power when plants are down for maintenance or unforeseen circumstances,” said Branko Terzic, the top executive for regulatory and policy issues involving the energy industry for Deloitte. He is a former commissioner with the Federal Energy Regulatory Commission and currently heads up a United Nations committee on cleaner energy. Transmission grids can be more efficient if electricity flows are closely monitored through the use of smart meters and software. The distribution side, however, is under pressure to not only distribute power to the system but to accept power inputs from consumers and businesses that generate their own electricity and have excess capacity. A more intelligent grid system will increase access to lower cost and/or lower carbon energy sources and allow the transmission grid to handle loads more efficiently or shift distribution when problems arise without new investment in lines. A huge benefit to consumers will be fewer line losses and access to demand-side management. Smart meters will allow homeowners and businesses to make choices that have dollar-and-cents impacts, delaying running appliances or machines during peak hours, for example. Overarching the interest in smart grid technology is a hodgepodge of state public service commissions that control transmission lines and distribution to users. Demand-side management, distributed generation, and the ability for a nonutility power producer to connect to the distribution grid are a few issues still under the purview of state governing bodies. “Much of the authority to implement new technologies is still exclusively in the hands of the states,” Terzic said. Even before Austin Energy’s smart grid project wrapped up, utility officials unveiled plans for what it calls Smart Grid 2.0, developed in conjunction with the Pecan Street Project. The project is a partnership among Austin Energy, the city of Austin, The University of Texas, the Greater Austin Chamber of Commerce, the Environmental Defense Fund, Dell, GE, IBM, Intel, Oracle, Cisco Systems, Microsoft, Freescale Semiconductor, Sematech, GridPoint, and several others. Smart Grid 2.0 focuses on the grid beyond the meter and into the premise (e.g. home, office, store, mall, building) with integration back to the utility grid. 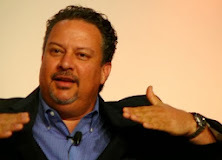 “Our Smart Grid 2.0 is about managing and leveraging distributed generation (solar, micro wind, etc), storage, plug-in hybrid vehicles, electric vehicles, and smart appliances on the customer side of the meter,” Carvallo writes on his blog, CIO Master (www.ciomaster.com). The power and transportation sectors are the number one and number two users of energy in the US, combining for nearly 70% of the total. The vision of the Pecan Street Project is to solve the energy problem in Austin by reinventing the power sector via moving into new energy models, including interconnecting with the transportation sector. The first phase will be complete by the end of August 2009 and will focus on developing an action plan for Austin Energy and identifying key barriers that must be overcome for success. “We want to transform Austin Energy into the urban power system of the future while making the city of Austin and its local partners a local clean energy laboratory and hub for the world’s emerging cleantech sector,” Carvallo said.